Manny Pacquiao isn’t ready to exit the ring for good, so says he. Phillipine news outlet, InterAKTV was present at a rec league basketball game Manny played in and the decorated boxer/politician told them he could “still do it” — meaning he can still fight. 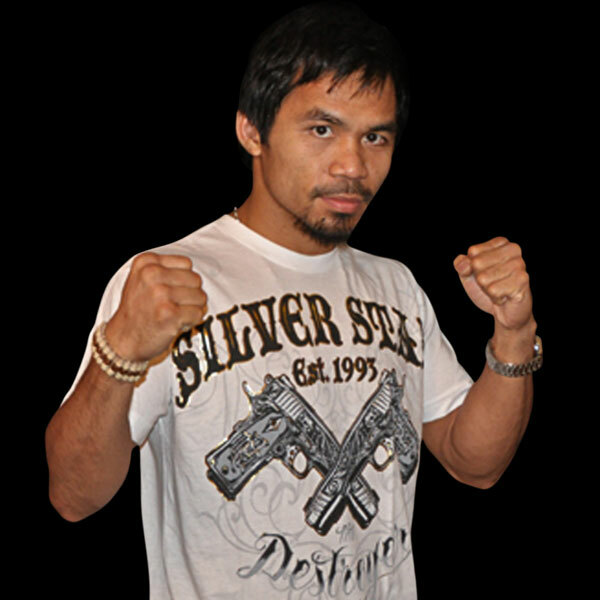 Pacquiao claims to have the ability for three good fights, and could put his gloves on again as soon as September 2013. Might I remind you that Timothy Bradley prevailed over Manny by decision in July and Juan Manuel Marquez knocked him out in December. We haven’t heard much from him since. Rematches of those bouts are strong possibilities, but what we are unlikely to see is a match between Pacquiao and Floyd Mayweather, Jr. That ship has sailed. Do you want to see Pacman fight again?